Interesting Facts: Electabuzz is a slightly humanoid creature with a few feline traits. It is covered in yellow fur with black stripes; a large stripe on its chest is shaped like a lightning bolt. It has a long tail. There are three, clawed toes on its feet; two in front and one in back, while it has five fingers on each hand. Electabuzz has two sharp fangs and a pair of antennae with bulbous ends. In the dark, Electabuzz will glow a light blue with the electrical charge stored inside of it. NOTES: Follow the numbers on the template. Build from head down, closing with the bottom of the body at the base of the legs. Be careful with the fingers, they can be a bit tricky. Drums and sticks are not required, but add a fun touch. 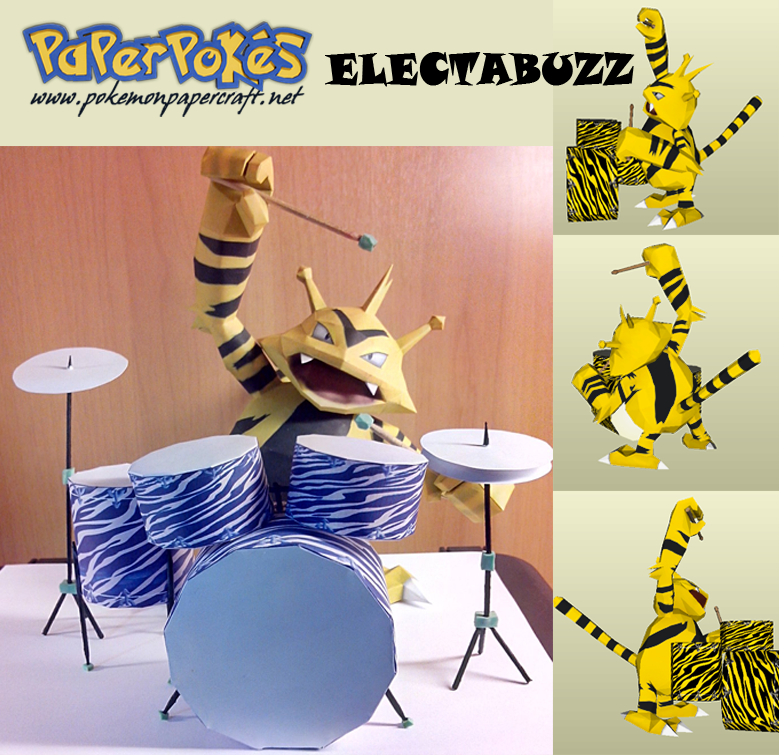 Textures included for drums and Electabuzz, along with an alternate grey stripe texture.